Scaffolding is an important requirement for many construction activities, including commercial, residential and industrial applications. It may be used for inspection, access, repair, maintenance or construction. 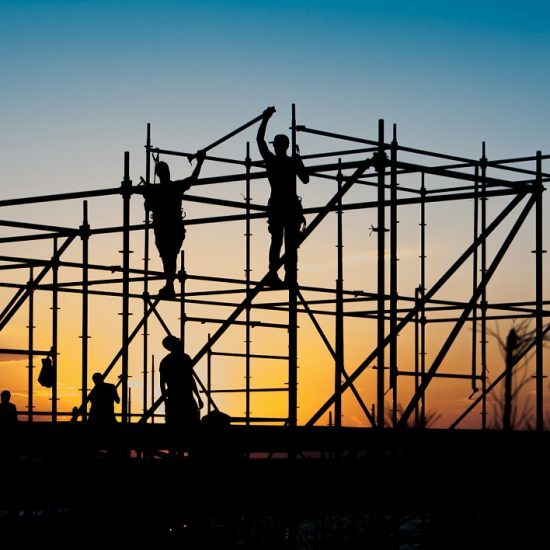 Usually formed from basic, repeating systems of boards, joints and tubes, scaffolding allows workers complete their jobs on a safe working platform. At Ace Scaffolding, we provide efficient service and quality materials no matter the nature and scope of the project in question. 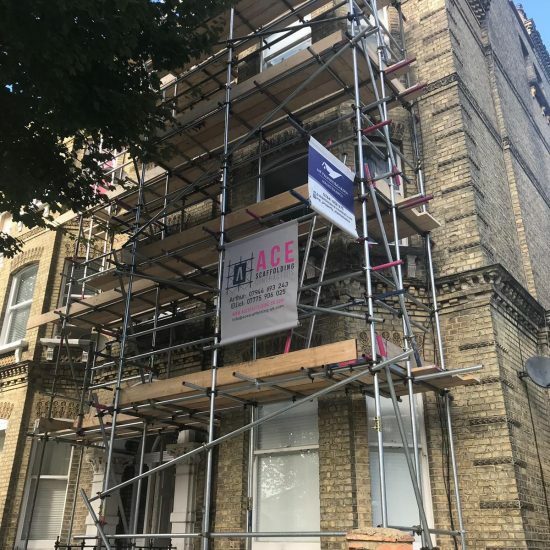 Depending on your needs, there are many different types of scaffolds used in Brighton and beyond. 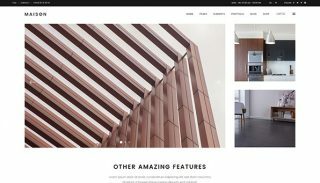 They can be constructed from a wide variety of materials and in different sizes to suit the kind of project you’re embarking on. The weight they will be required to hold up also determines how they’ll be designed. Independent tied scaffolds, for example, frameworks that are tied to an adjacent unit. Freestanding scaffolds, for example, independent towers. Often used for interior work in museums, churches and other large buildings, birdcage scaffold is typically used for a single level to allow workers access soffits and ceilings easily. It comprises parallel rows of standards linked in both directions by ledges. Also called single frame type or needle scaffolding, cantilever scaffolding may be used in situations where it’s impossible to build the structure from the ground up. There are a number of reasons why this may happen, for instance, it may be that you’re working high up on the side of a building or don’t want to obstruct traffic while working on a busy Brighton street. The standards get support from a series of needles, often made from timber, attached to holes in window corners or wall. Between the headpiece and the needle, we will wedge vertical struts to prevent the needles from slipping out. Depending on the project at hand, we may construct a double type of version of the scaffolding where we will strut the needles to the floor via openings in the structure. With this kind of scaffolding, only one side is attached to the building. This would mean anyone who has to work high up on the side of the structure will be better off using a harness for safety reasons. The advantage of cantilever scaffolding is that it allows workmen access places that may be awkward or hard to reach. Also, it’s relatively simple to construct. This scaffolding type is widely used where there’s a need to support heavy loads. It’s often made from galvanized steel produces highly standardised systems that are ideal for scaffolding designs that have repeated patterns. This is made possible by the cuplocks placed every 500 to 1,000mm. Also known as mason’s scaffolding, double scaffolding is the most common type of scaffolding used by stone masons. This type of scaffolding structure uses itself as a support and it’s entirely separate from the wall. This is so because it’s tough to make holes in stone masonry for putlogs. For a double scaffold, there must be two frames of standards. One frame is positioned 1.5m away from the first which is positioned as close to the wall as can be managed. Where it becomes necessary to handle heavier loads, the distance between both frames can be reduced. To make the structure sturdier, transoms are used on the ledges. Double scaffolding can be referred to as another type of supported scaffolding. This type of scaffolding has fewer components and is lighter the other systems, making it adaptable, of great quality and safe. In addition to scaffolding, it’s also used for suspended and shoring systems. It’s one of the more durable systems as it’s approved for load class 6 with a typical Bay length of up to 3 metres. This scaffolding kind is relatively adaptable and easy to erect. It’s also more reliable and safer than many other options because of the guard rails and non-stop platforms that are included. This type of scaffolding can be purchased ready-made. Like steel scaffolding, it’s also made of steel, however, it has its own special frame and couplings. 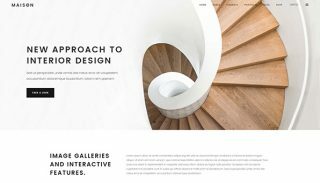 It can be easily assembled, but it doesn’t have the same kind of flexibility that traditional options have. This scaffolding type is ideal for when you need to do indoor painting or make minor repairs. It’s essentially a platform or boarding held up by movable tripods or ladders. There are no putlogs, ledgers or standards. Lightweight materials are used to make this kind of scaffolding and it may be placed on wheels to make it mobile. That’s why it’s sometimes called rolling or mobile scaffolding. Trestle scaffolding in Brighton is typically only used for jobs that require workers to go no higher than 5m. It’s a good alternative to a ladder since it offers a platform to work on. It may also be ideal in cases where any movable structure wouldn’t be practical, for instance, where you need to do a lot of work in one space. When constructed and used properly, mobile units are perfectly safe, but it’s still important to be careful as they can pose a hazard. One of the first kinds of steel scaffolding to be used, this type of scaffolding comprises 2 parts – tubes and couples or clips. It’s easy to assemble and dismantle, hence, its popularity in Brighton. Tubes are connected to create long runs before the horizontals and verticals are then connected with clamps. This system is flexible and can be made to odd shapes for irregular or round buildings. Also called tubular scaffolding, this type of scaffolding has many similarities to double scaffolding. Instead of timber, steel tubes are used and instead of rope, steel fittings or couplers are used. Also, standards are not simply fixed to the ground, they are welded to a base plate. This kind of scaffolding comes with many advantages, however, it requires regular maintenance and skilled labour to assemble. It may also be expensive. That being said, it’s fire resistant and more durable than timber, in addition to being safer. This type of system is similar to suspended scaffolding, but it can be made to climb up and down fixed last structures. It can also be extended to different heights in small increments to suit the worker’s needs. It works well for projects where there isn’t much ground area since it doesn’t require much space at the base of the structure. Also referred to as bricklayer’s scaffolding sometimes, single scaffolding is typically used by brick masons when they are building walls. This kind of scaffolding comprises a single framework of standards that are secured to the ground 2.4 to 3m apart from each other. Ledgers are used to connect to them to the wall with 1.2 to 1.5m between each ledger and the next. Putlogs are used to connect the structure to the wall, with the putlogs linked to the ledgers using ties positioned 1.2 m apart. If the scaffolding needs to be particularly high, we can add extra support with braces. This system is also called supported scaffolding because it’s constructed from the base upwards. 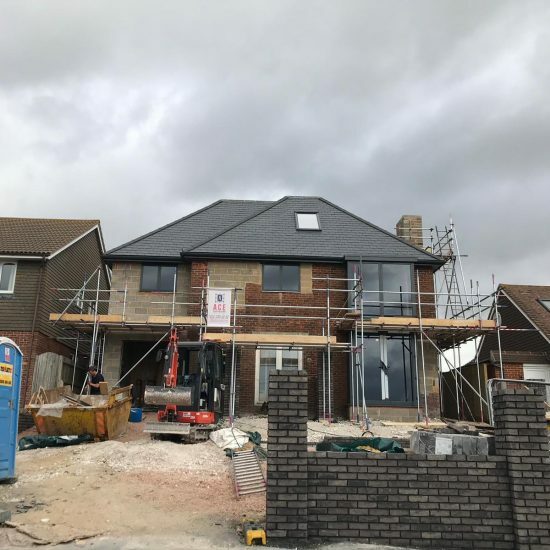 It’s one of the most popular choices for construction companies in Brighton because it’s affordable, safe, convenient and easy to build. There are different forms of single scaffolding available, with each used in a specific circumstance and serving a specific purpose. Suspended scaffolding is most often used by window cleaners on the side of a building. It may also be used for repair and maintenance jobs. Essentially, it consists of a boarding or platform with a guard rail that’s suspended from the top of the structure using chains, wires or ropes. On the other end, sturdy material is used to make a counterweight. This kind of scaffolding can be easily raised or lowered manually or mechanically as the workers require. It must be properly secured or it may sway while being adjusted. Before every use, all the chains, wires or ropes must be carefully inspected for any possible damage. Sometimes, suspended scaffolding comes with debris nets that are used to catch building materials or tools that may slip off the platform. For safety reasons, it’s ideal for workmen to use a harness while using this kind of scaffolding. Yes, we can, as long as we have sufficient information to offer a free, no obligation quotation. 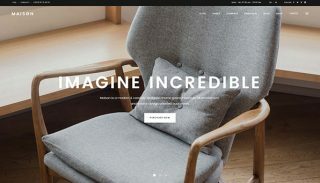 However, please understand that it may be easier for us to visit your site before providing a quotation as there are so many variables to consider. Our payment terms are flexible and can be adjusted to suit the needs of our clients. We may agree to payment a fortnight from erection, subject to a credit check. Or we may agree on payment on erection. Whatever is better for you, we’ll be glad to discuss the terms with you. Depending on what we have to do, the sky dish may be a problem. There’ a good chance you’ll lose your sky signal once the scaffolding has been erected. However, you can have a qualified aerial engineer temporarily fit the dish to the scaffolding. Scaffolding can be messy, but we understand that your garden is your pride and joy. We’ll take extra special care to ensure that your garden remains untouched. Here, we don’t charge for providing an estimate for your project. 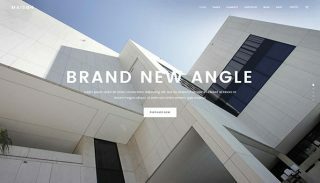 We can even come to check your site ourselves without any additional cost to you. The three basic types of couplers including swivel couplers, putlog couplers and right-angle couplers. Sleeve couplers, also called spigots or end-to-end pins are used to join tubes. Besides these 3 major types, there are several other types and sizes available on the market. You may hear of half couplers, butterfly couplers, and so on. Couplers may be made of a variety of materials, including plasma cut steel, forged steel, and so on. 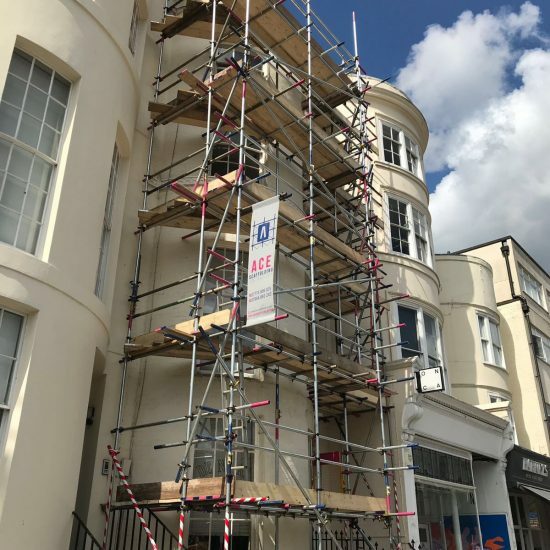 For every project we work on in Brighton, we use only the best scaffolding fittings that meet the safety requirement, not only to protect our workers, but to protect your property as well. When construction work is being done on a building, scaffolding is used to provide support for the workmen as well as structural support for the building itself. 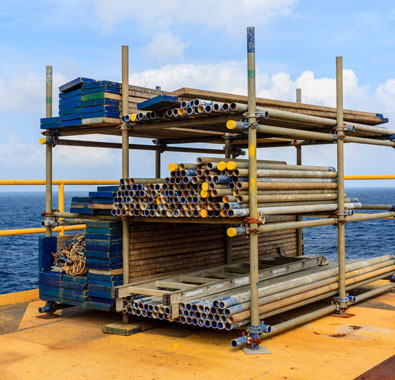 Often, materials like metal tubing or piping are used to form the backbone of the scaffolding, along with boards and couplers. While there are several kinds of scaffolding, they’re all made up of the same basic elements, even if these elements differ in design. There are 3 general components under which basic scaffolding elements are classified: transoms, ledgers and standards. 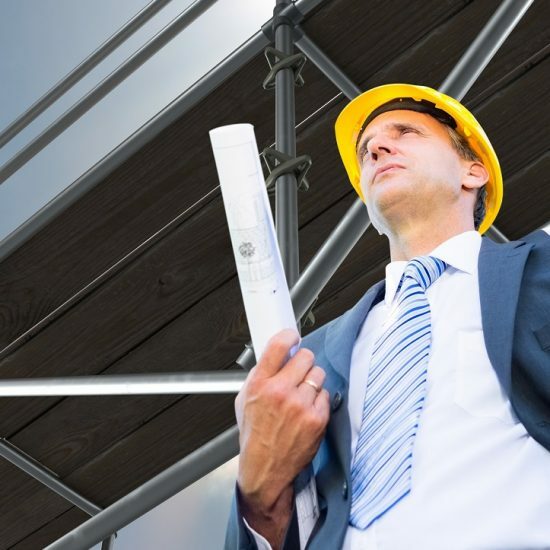 A standard is a long tube or pipe that runs the length of the scaffolding, connecting the entire scaffold directly to the ground. A base plate serves as support for each standard as they are linked to the base, which helps with weight distribution and support. Ledgers are placed in between standards in a horizontal fashion, improving the weight distribution and adding further support. Transoms come in various forms and are placed at a right angle on top of ledgers. There are intermediate and main transoms. While main transoms support boards and standards, intermediate transoms provide additional board support from their position alongside main transoms. Apart from the aforementioned, there are many other supportive elements that provide support for the basic scaffolding. These include additional couplers, façade braces and cross braces, all of which can be used in a variety of combinations to provide support for structure in various ways. Cross braces are used to improve the overall rigidity of a structure as they’re securely attached to standards and run diagonally between ledgers. They may also be secured to ledgers as ledger braces. As for façade braces, they are secured to the scaffold’s face and attached at every level, preventing the structure from swaying. There are various scaffolding accessories which may be used in any combination, depending on the application and the type of scaffolding in question. They include parallel couplers, putlog couplers, fixed (right angle) and swivel couplers, steel hollow jack, girder coupler, fork-heads, putlogs, fixed and adjustable legs and baseplates, fixed and swivel flange clamps, drop forged joint pin, stair case, ladder beam and push pull steel prop. The above mentioned accessories can be used with tube and coupler scaffolds as well as system and frame scaffolds. Other accessories include lifting accessories and wall ties, sole plates, toe boards, prefabricated stair units, filler unit platforms, planks, hop-ups, ladders and joint pins. Multiply the total square footage by 25 pounds per foot. That would give you the maximum weight the scaffold can hold. A scaffold should be properly inspected before first use and subsequently, it should be inspected every 7 days until it’s no longer needed. Further, it should be inspected further every time it’s exposed to conditions that may cause wearing down, for example, after substantial alterations have been made or in adverse weather conditions. One of the most obvious hazards associated with scaffolding is falling from elevation. 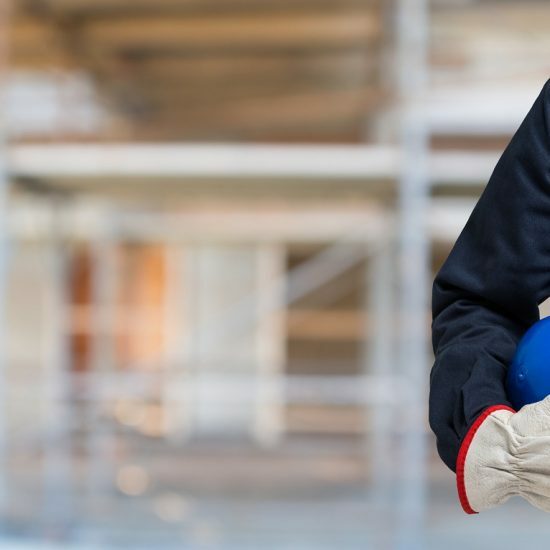 In addition to falling, other common hazards of scaffolds include electrocution, getting struck by falling debris or tools, and bad planking. Workmen need to take extra special care to protect themselves from these dangers. This includes wearing appropriate clothing and protective gear such as helmets and harnesses. Are scaffold tags legally required? Tag systems are not required by law, but it’s a legal requirement for scaffolding to be inspected if an individual can fall 2 or more metres from it. The inspection must be carried out and a report handed over by a qualified individual once the initial inspection has been completed and at least, every week thereafter. Why are there so many different scaffolding types? The different kinds of scaffolding in use are specific to certain parts of the world, perhaps because the equipment is easy to obtain in that particular area and many people are familiar with the system. For instance, tube and clip is a well-known system in England and Wales while Kwikstage is more common in Scotland and Australia. 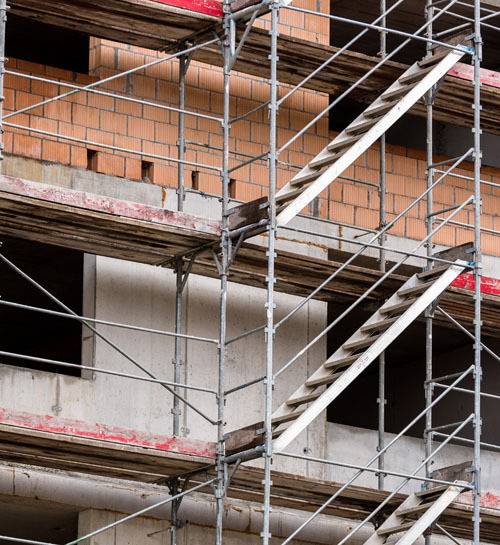 In many cases, local codes are written with specific scaffolding types in minds and there’s often a great deal of local expertise on how each system works. 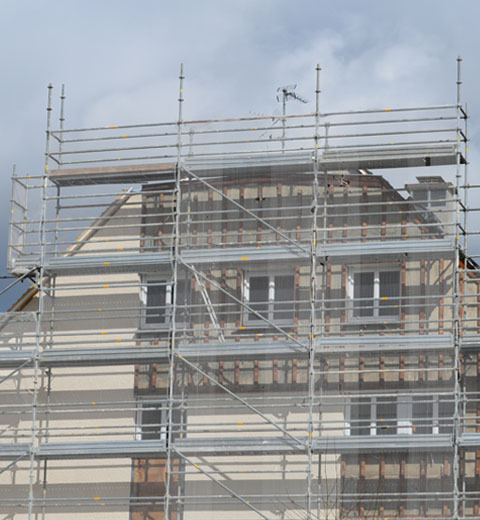 In places like Northern Europe and Scandinavia where labour is expensive, the preferred scaffolding type is aluminium scaffolding which can be built faster due to its lighter weight. In other countries where labour is more affordable and aluminium is expensive, bamboo and wooden poles are commonly used.